“Right first time, Right every time” is the motto of ISO 9001-2008. ISO certificate is symbolic of the best quality of a product. 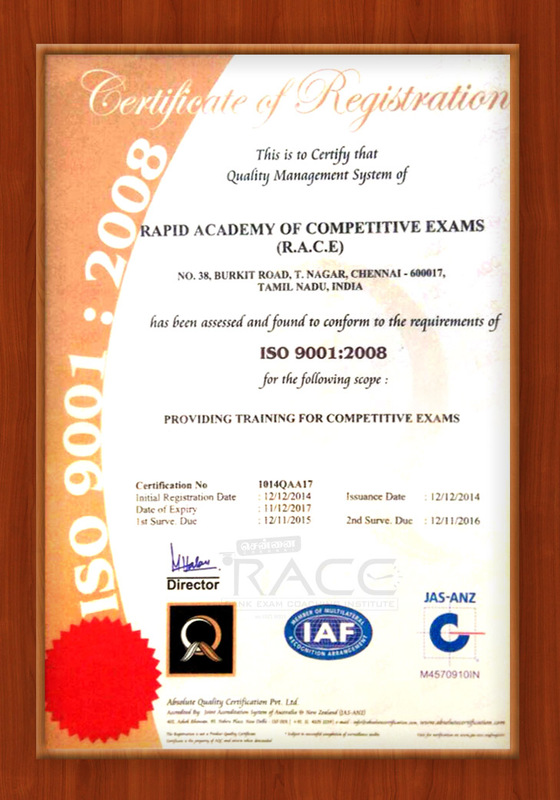 RACE Coaching Institute Pvt ltd, a versatile coaching institute with ISO 9001 – 2008 certification adheres to the highest level of quality standards prescribed by ISO 9001-2008 scrupulously, while extending its excellent services to the students in a marvelous way.